Henry Banda the International thief Son of Rupiah Banda has struck again. Henry Banda, his father Rupiah Banda, Edgar Lungu and Amos Chanda want to without following procedure sell Zamtel to Maroc Telecoms. Maroc Telecoms is a company founded the family of King of Morroco. The company was founded in 1891 by King Hassan. According to sources close to the deal, Maroc Telecoms which is being run by Etisalat has offered to buy Zamtel at US200million. Sources further state that Rupiah Banda and his Son Henry had gone to Morroco to arrange the deal before the King of Morroco came to Zambia. 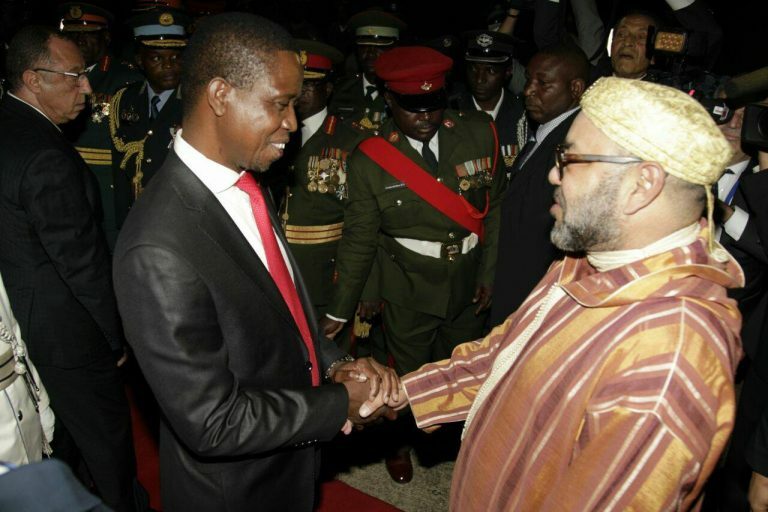 ” This is the main discussion the King of Morroco had with Edgar Lungu when he came to Zambia for a State Visit,” the source said. Another source disclosed that this is what led to the dismissal of Mupanga Mwanakatwe as Zamtel Managing Director because he was against. ” As you may be aware Mupanga is the Husband to Margaret Mwanakatwe the Commerce Minister do you think as corrupt as Edgar Lungu is could have fired the Husband to the Minister? No. There is something big. He was against the sell. Yes Mupanga is an alcoholic but that is not why he was fired. He was against the sell of Zamtel at that price. Please note. It was the price he was against not the sale,”the source said. Before the 2011 electiona Rupiah Banda, Dora Siliya then as Communications Minister and Henry Banda Rupiah’s Son who was until Edgar Lungu came into power a fugitive sold Zamtel to a Lybian company called LapGreen. Late President Michael Sata renationalised the company when he defeated Rupiah Banda in 2011.